While many tourists arrive in Jeju by air, an increasing number are arriving by sea. Jeju has become a popular port of call for cruise ships from Asian countries, particulary neighboring Japan. Nine Japanese cruise ships are slated to dock in Jeju this year, for a total of 36 visits and thousands of visitors. 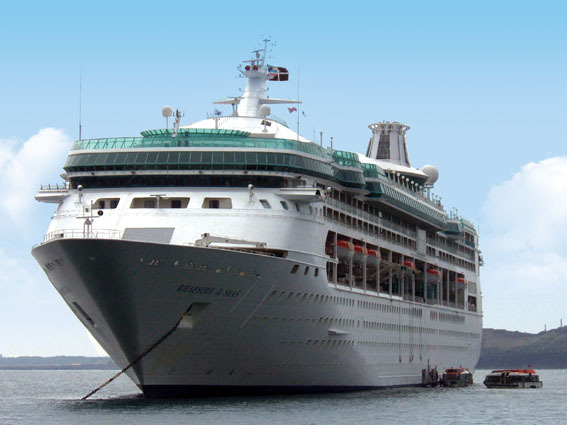 Jeju government records show just over 30,000 tourists arrived on cruise ships last year. The slumping economy has affected the cruise ship industry around the world, but Jeju expects those numbers to hold this year. A Taiwanese cruise ship canceled a planned trip to Jeju this year, and while there are less cruise ships coming from Japan this year, they are much larger than in the past. Cruise passengers mean big business for Jeju merchants. Visitors from the sea last year spent an estimated 2.9 billion won, or 2.6 million USD while on Jeju.